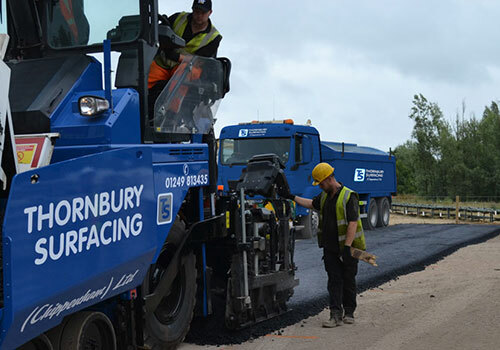 To accommodate the various size of contracts awarded to us, we have re-invested over £800,000 on plant and equipment over the last 2 years. 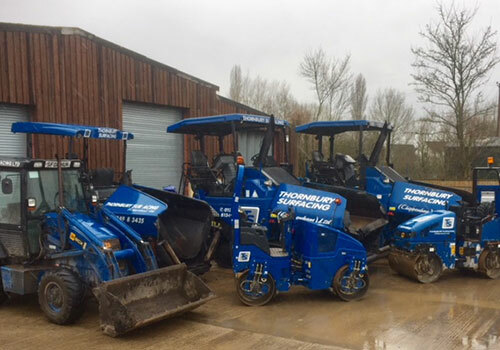 All machinery is state of the art, under 5 years old and rigorously maintained at our dedicated workshop. Our experienced maintenance staff provide round the clock backup for equipment on site. Plant certification can be supplied upon request in addition to our Health & Safety pack. 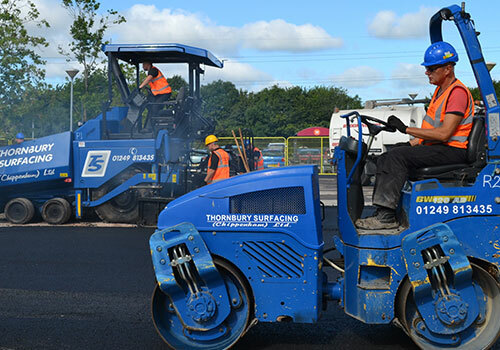 With all this mentioned above it provides our clients with security that we at Thornbury Surfacing have the resources in place to achieve the strict deadlines placed upon us. 2 x HGV6 Wheel Tippers with chutes.